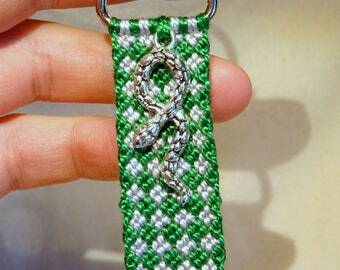 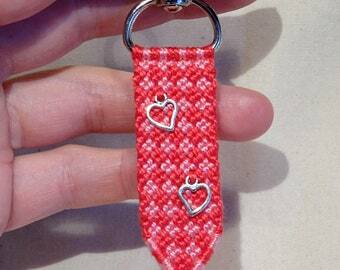 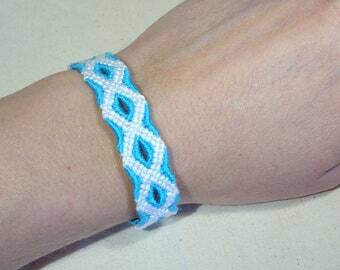 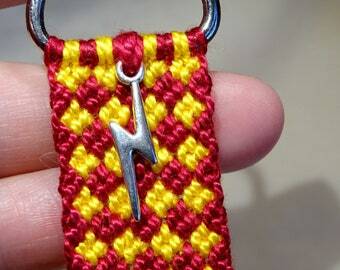 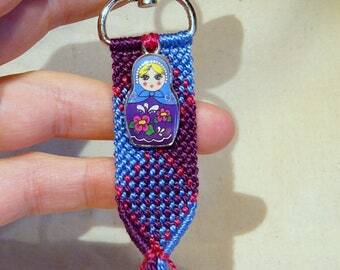 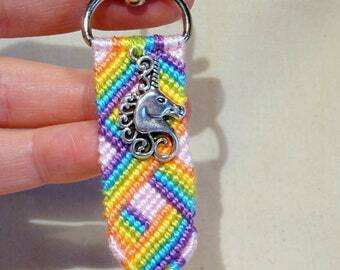 This is a unique key ring made with the macrame knotting technique. 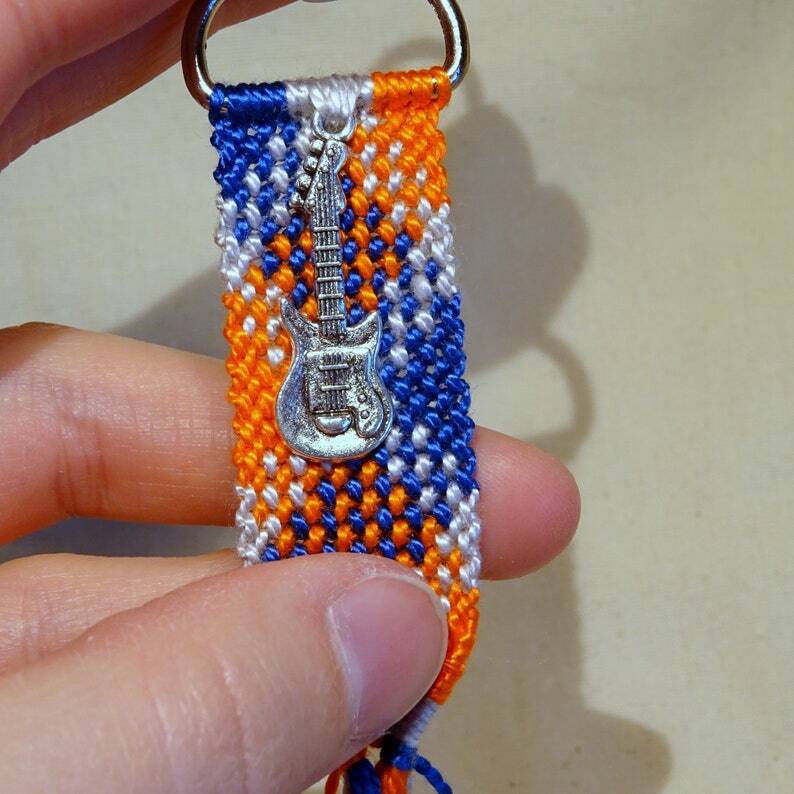 A cute metal guitar is added. 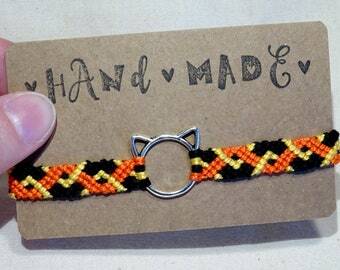 I used the colours grey, orange and blue.